The milestone reward, when Leif & Thorn hits 50 Patreon supporters, is that I’m making pins. We’re up to 47, so I’m doing prep! These are the design concepts for a Tiernan pin, and there’s a poll to vote for your favorite. 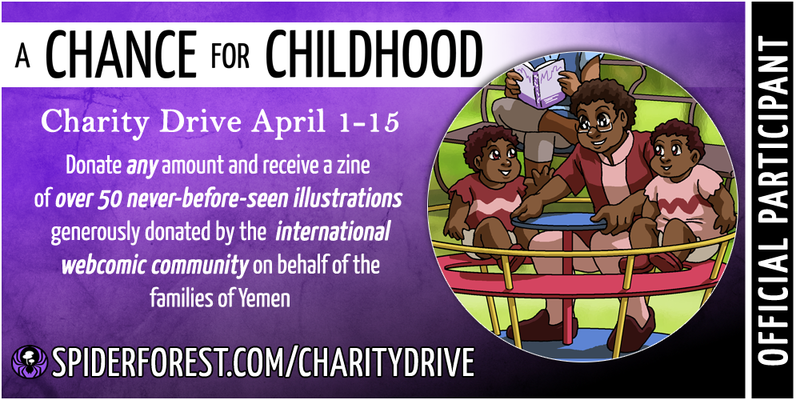 It’s only open for the next week-and-a-half, so if you’re not already a patron and you want to vote, don’t miss your chance. Updates, in no particular order! I just realized the top book-post on the front page here is still “the proofs have arrived!” So let’s fix that: the books have arrived! And check out all the posts from happy backers, who are not my secret sockpuppet army, but Actual Human Beings who have gotten their copies in the actual post. I’ve also managed to sell one in an Actual Bookstore. 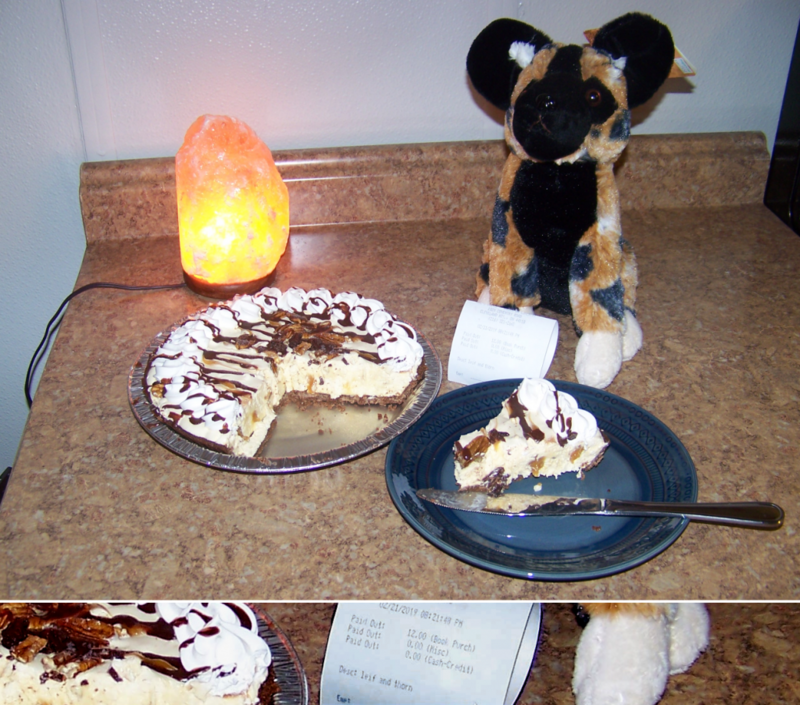 Me and Plushie Niamh celebrated with pie. Comics history nerd interlude ahead. 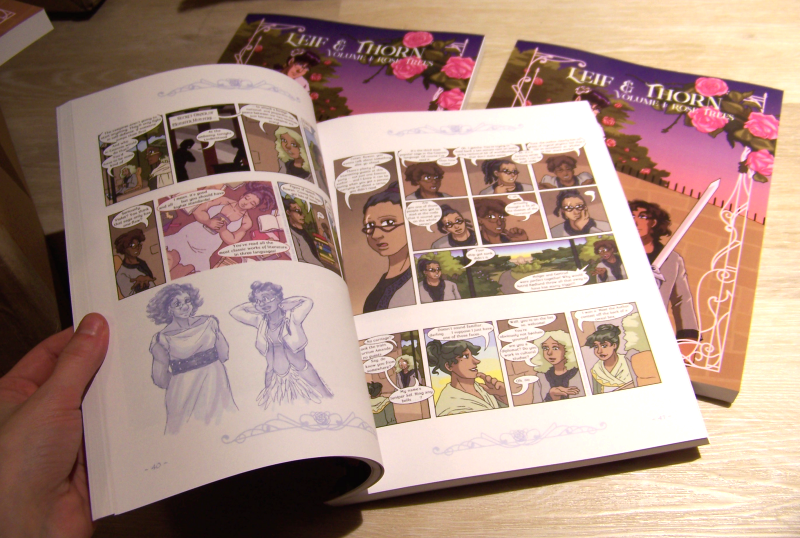 There’s a thing newspaper comics do for the Sunday paper, where they’re designed to be modular. Every individual paper’s layout artist can crop and rearrange them in various ways. Guess who has a proof copy in hand…? Guess who has a proof copy in hand…? published on 15 December, 2018 Read more posts by the author of Guess who has a proof copy in hand…?, Erin PtahNo Comments on Guess who has a proof copy in hand…? That’s right, the next step of Book Progress has been made. To save time and money, this company ships their proofs unbound. Which means it’s less “a book” and more “a stack of loose paper.” But gosh, it’s some good-looking paper. Continue reading Guess who has a proof copy in hand…? A handy guide for anyone who can use it, from someone who’s been doing this for a while. If you do want a detailed explanation of each step, though, keep reading. This is mostly directed at people who are familiar with the Tumblr blogging system, but the same process will work for anyone. I’m gonna try to make it as dead-simple 101-level as possible, so feel free to skip the sections you already know. Thanks to all the Kickstarter backers! Thanks to all the Kickstarter backers! published on 29 October, 2018 Read more posts by the author of Thanks to all the Kickstarter backers!, Erin PtahNo Comments on Thanks to all the Kickstarter backers! 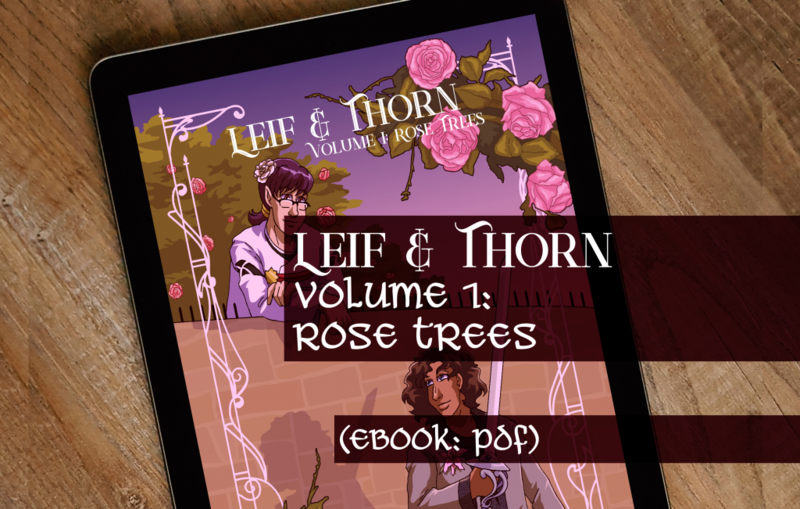 This is the post where I credit people who backed Leif & Thorn Volume 1! Browse the list, click some links, shower them with appreciation. 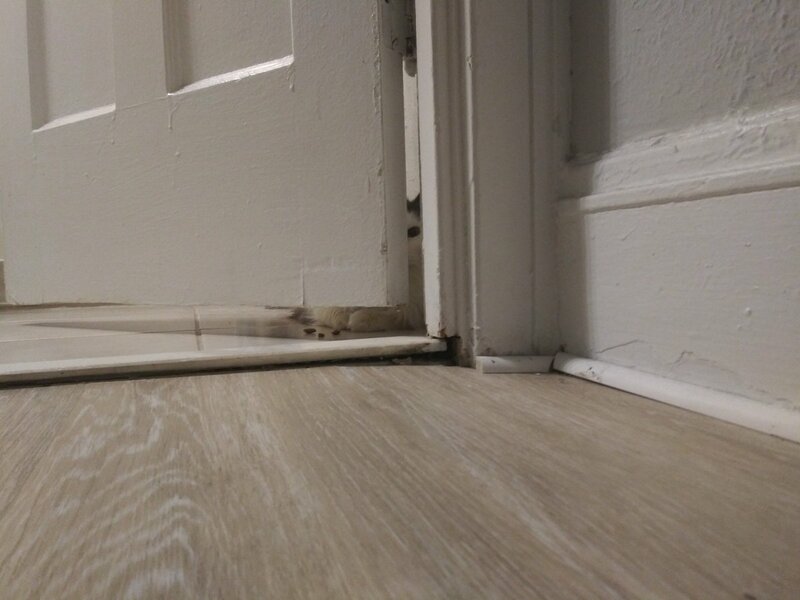 Only backer at this level was…my parents! They’re half a vampire each, I guess.